The Hoshô (保昌) school is one of the five schools of the Yamato Den (大和伝) They are said to have worked in Takaichi Gori (Gun) of the Yamato Province since ancient times. Kunimitsu (国光), who lived in the mid-Kamakura period around the Koan era (1278-1288), is said to have been the founder of this school. He is also known to have worked under the name of Sadamitsu (貞光). Since there are no extant works of this smith remaining, his son and student, Sadamune (貞宗), is considered to have been the founder of this school. There are numerous works of his remaining today. He worked around the Bunpo era (1317). Sadamune (貞宗) was followed by Sadayoshi (貞吉), Sadatsugu (貞継), Sadazane (貞真), Sadakiyo (貞清), Sadaoki (貞興), and Sadamitsu (貞光). 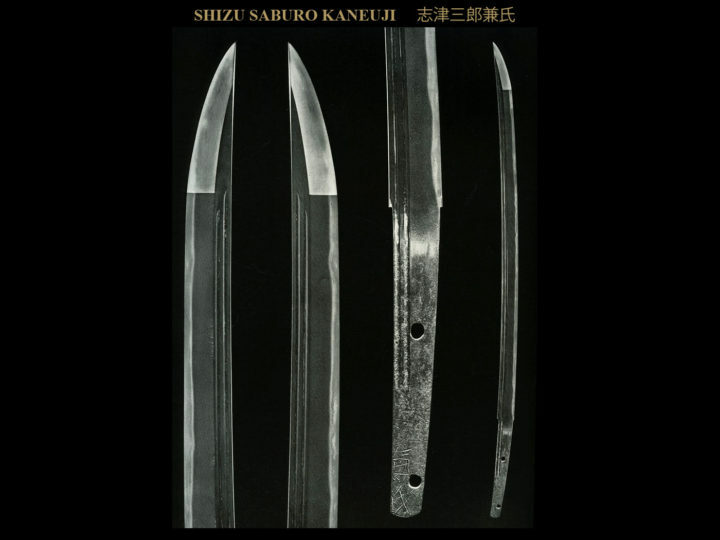 These smiths produced swords up through the Nanbokucho era. The works of the sword smiths of this school are known for their uniformity and it is very difficult to distinguish them from one another based upon individuality of workmanship. 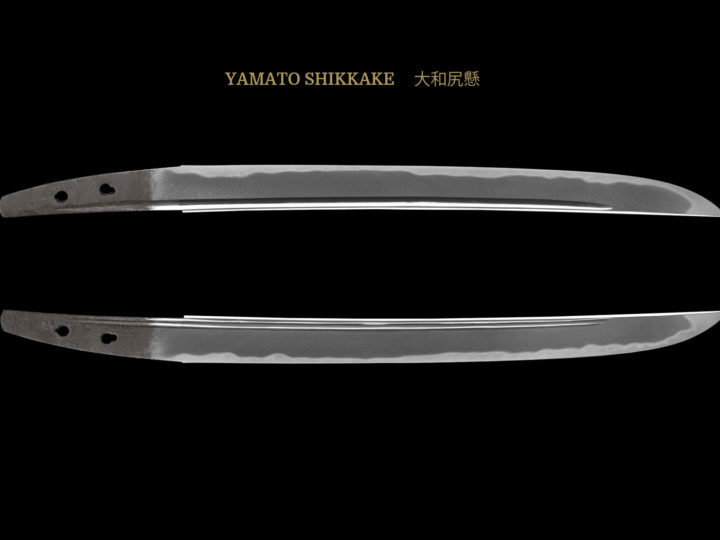 The tantô above is a famous blade made by Hoshô Sadayoshi. 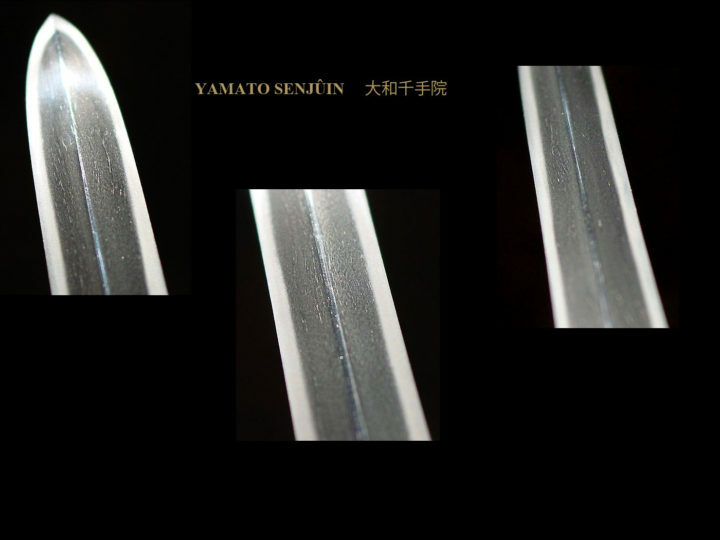 The following is an excerpt from a description of this blade by Homna Sensei: “The study of the Yamato Hoshô school should start with the works made by Sadayoshi. Among his blades, this tantô is the most distinguished quality, and it has also been kept in an excellent state of preservation. This tantô was once kept in the Maeda family. Compared to others by this smith, this tantô is more excellent in workmanship and in the style of the signature. 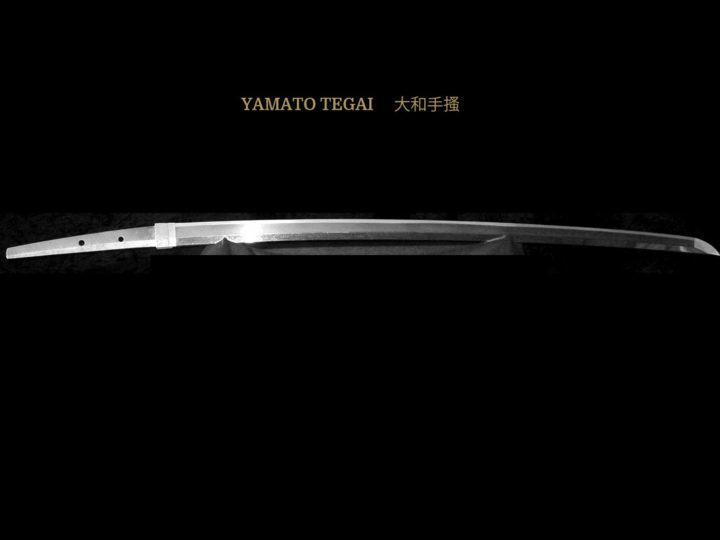 SUGATA: Tachi show the general style of the Yamato Den. They are fairly slender with plenty of hiraniku. Occasionally there is one of a wide mihaba. Sori will be shallow and the shinogi will be high. The kasane is thick and the mune will be Gyo-no-mune made high but Shin-no-mune will be found at times. Tantô are also typical Yamato mono being slender bodied, musori, hira-zukuri, and the kasane will be thick. There are some that are a little sun-nobi with a bit of width to them and generally stout. JITETSU: The jitetsu will be extremely fine with the masame hada being very pronounced and distinct. There will be nie. into the bôshi, making the turn at the yokote into the kissaki in a line along the curve and it will run out into the mune. 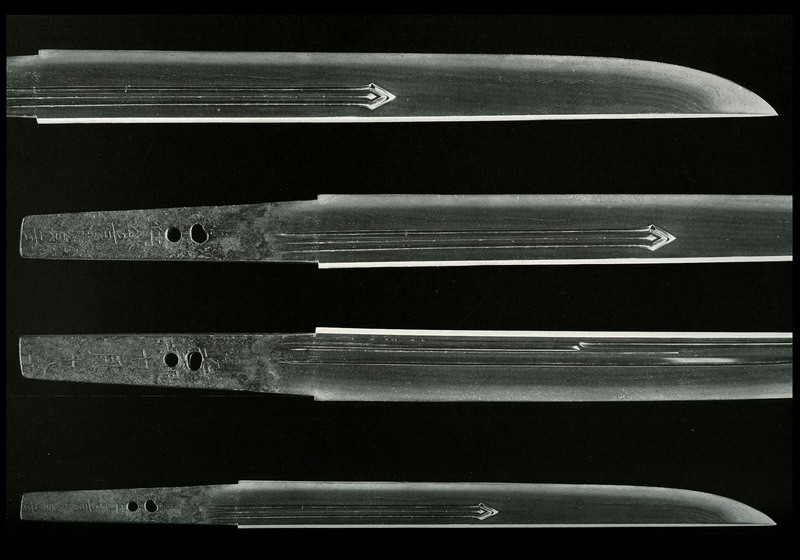 Many Hoshô blades will have tate-wari, but this is not considered to be objectionable as this is the way they were often made. HAMON: Most will be suguha in a narrow chu-suguha with much hotsure and have ashi. They will be nie-deki. There will be uchinoke along the edge of the hamon as well as nijûba and kuchigai. There are also some which have a bit of a mixture of notare and gunome. The nie line is wide and occasionally there is coarse nie mixed in. Sunagashi, hakikake and such are unusual, even for Yamato mono. BÔSHI: They are mostly yakizume, and there is strong hakikake. There will usually be nie in the bôshi. On rare occasion there will be a slight kaeri. HORIMONO: Horimono is rare on tachi. On tanto koshi-hi, suken and bonji can be found. The carvings will be deep and the tips of the ken are strong. NAKAGO: Almost all of the tachi have been shortened losing their original nakago. When present, the nakago of tachi are long with a shallow sori, those of tanto are mu-sori. The saki of tachi are a shallow kurijiri, tanto are kuri. Both tachi and tanto have niku on the mune. The yasurime is higaki.